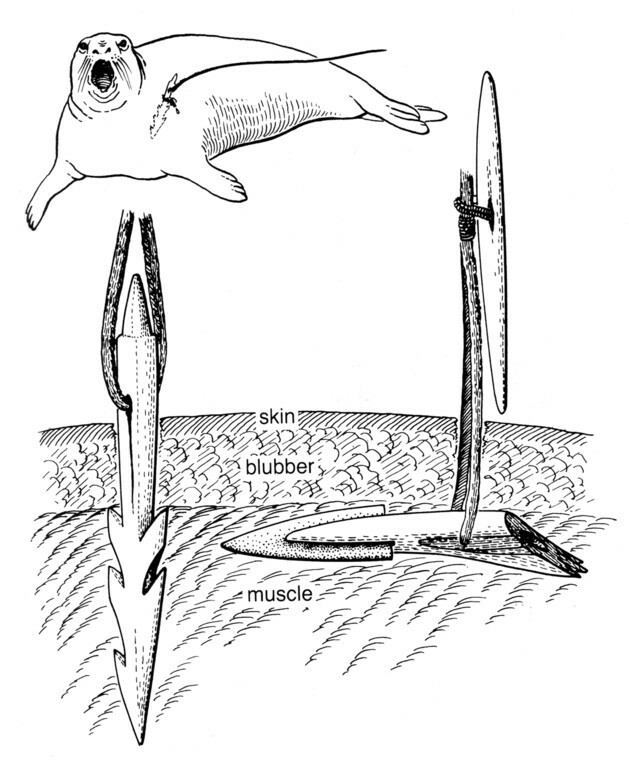 Diagram of harpoon points used. Illustration from Inua: Spirit World of the Bering Sea Eskimo by William W. Fitzhugh and Susan A. Kaplan, 1982, fig. 37.